Choosing a best of list is never an easy task, but when you are forced to pick between parties like Richie Hawtin's Enter Experience or the all new YA'AH MUUL event with the likes of Luciano and Tale of Us, there might be a few difficult decisions. This years edition of The BPM Festival, running since 2008, features countless showcases from the biggest labels in house and techno every day and night, making the choices tough but rewarding. Today we're breaking down the 10 day event into some of our favourite parties that you should definitely add to your schedule. YA'AL MUUL is a brand new event this year at The BPM Festival, happening once during the opening weekend and again on the closing weekend, features a slew of all-stars in the underground including Luciano, Tale of Us, Guy Gerber, Apollonia, The Martinez Brothers, Lauren Lane, Paul Kalkbrenner and more. The second weekend features a Culprit Stage with names like Chaim, Clarian, Droog, and Maxxi Soundsystem to compliment the main stage acts like Steve Lawler and Nitin. The fact that it's taking place at The Jungle, a new venue for this year, makes it even more appetizing, as we've been told that attendees can expect multiple stages for a "festival within a festival" experience, complete with a food court featuring local food concession partners to keep you going for the extended afternoon till dawn parties. Shuttle buses will be provided as well to make travel to and from as easy and safe as possible. Anytime Tiga makes an appearance at BPM you can bet it's for a good cause. The Turbo Records boss joins Thugfucker at one of their few appearances and they're supported by some of the hottest names in the game right now including Olivier Giocomotto, Jonas Rathsman, and Lee Curtiss. The list goes on but an important point to note is the location: La Santanera features a rooftop terrance and a main room club, offering two parties for the price of one as we'll see with a few of the picks on our EARMILK roundup. Mano Le Tough's Maeve imprint hit full stride this year with standout releases from the likes of Ripperton and Matthew Dekay and to celebrate another year of success the Maeve Rave returns to BPM Festival for a daytime affair at Canibal Royal featuring Baikal, The Drifter, and Aera in support of Niall. Have a listen to Ripperton's latest off Maeve, one of the top tracks of 2015 that is surely to make the rounds at this year's BPM Fest. Expect extended sets from each of the acts and a variety of melodic, deep and innovative techno; a far cry and an escape from some of the rolling tech house that is sure to permeate much of the Playa over the next few weeks. 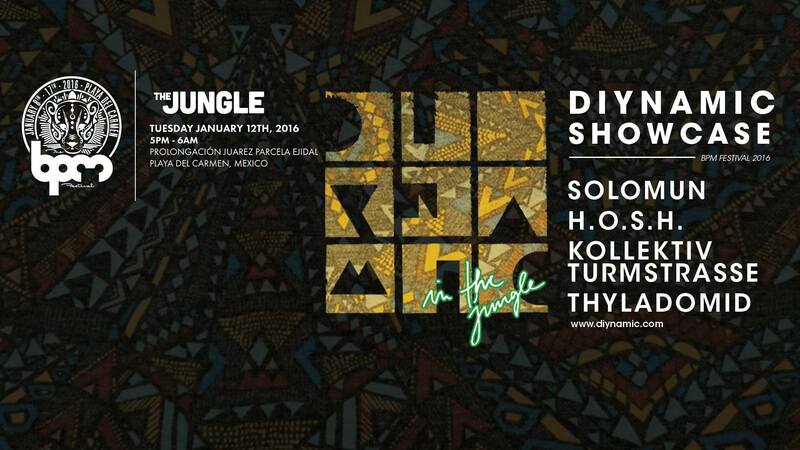 Solomun's Diynamic label has been one of the premier tastemakers over the last few years and this year's showcase at The BPM Festival offers an 11 hour journey in The Jungle from the likes of H.O.S.H., Kollektiv Turmstrasse, and Thylamoid before Solomun headlines. Few labels have done as much in recent years to cross the boundary between vocal driven music and underground authenticity, but the continued innovativeness of artists like Kollektiv and H.O.S.H. have put Solomun at the throne of emotive deep house and techno, surely to be on full display at this year's BPM Festival. Mladen will also enjoy an extra appearance as part of his Solomun +1 event featuring none other than Mano Le Tough later in the week. There wasn't much of a debate when we chose this party to include in our top 10 list for BPM Festival this year. With such a diverse lineup picked out by Jamie Jones and the Paradise crew, even the residents look like headliners. Richy Ahmed, Patrick Topping, Waff, Russ Yallop, and Mark Jenkyns add some substance to an already stacked lineup including Joseph Capriati, Steve Lawler, Lee Foss, Skream, Bob Moses, Dyed Soundorom, Cassy, and Matador. Once again taking place in the Jungle from 5pm to 6am, Paradise at BPM will offer an escape to another world and with the variety of some live acts like Bob Moses, the evening affair will have something for everybody. Years in the making, Jonny White's Social Experiment record label finally debuted in 2015, immortalizing the event series that has taken Art Department around the world. With their separation this past year one might have assumed to be seeing less of Kenny and Jonny together but on special occasions (BPM being one of them), the two are headlining the Social Experiment Mexico party taking place at Martina Beach on Thursday, January 14th. Joining them for the daytime affair will be Stacey Pullen, Guti, Shaun Reeves, Nitin, Maher Daniel and Jade Morgan, while the nighttime event taking place at La Santanera Rooftop Terrace, The Aftermath, doesn't have a lineup listed but you can bet the vibe will be hard to top. 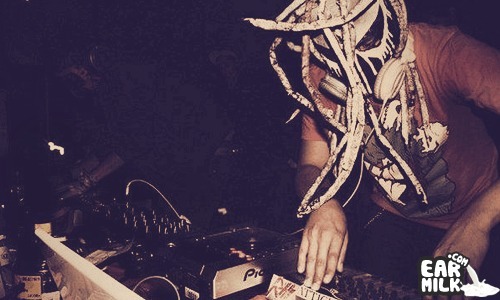 As with some other events, La Santenera will offer two parties that night, the other being Skreamizm with Route 94, Tom Trago, Michelangelo and of course, Skream. Easily one of the most anticipated events of the week, the Life & Death showcase is more or less what we expected, until you notice Nina Kraviz on the lineup. It's not so much of a stretch when you consider the overall direction Tale of Us have taken this past year in some of their releases, noting a darker, harder side to their productions that easily explains their choice of Nina to precede them. Of course, label mates DJ Tennis and Thugfucker are involved as well as one of the quickest rising duos over the last few years, Mind Against. Barnt brings his raw energy while Job Jobse and Konstantin round out a lineup that should perfectly carry the night from sunset to sunrise, yet again at BPM's all new Jungle venue. One of the hottest events taking place at BPM 2016 will surely be the Rumors Showcase. Label boss Guy Gerber will grace us all with his presence and joining him for the daytime fun and providing soft melodic riffs accompanied by hypnotizing powerful basslines will be label mainstays Chaim, Bob Moses, Acid Mondays and Behrouz. Taking place at the gorgeous Martina Beach Club, this epic day party will most definitely keep pace with the perfect party atmosphere that the final weekend is set to deliver. The final few nights of BPM 2016 are set to provide some of the strongest and most talent packed events that techno festival goers have ever seen. The SCI-TEC Showcase is packed with brute talent as the legendary Dubfire will not allow one second for rest at his blockbuster extravaganza. Ready to join him at the massive world famous nightclub, The Blue Parrot, and lead us into a night of pure darkness are techno moguls Hot Since 82, Oliver Huntemann, Shaded, who will be playing LIVE, and one very special guest which makes things extremely fascinating. Last but surely not least, BPM will be shut down after what will be an absolutely magical week by one of the strongest producers that has ever graced the dancefloor with her presence, Nicole Moudaber. This largely anticipated event is the sole provider of entertainment for the night, making it with no doubt the the busiest, craziest and most anticipated event of the entire festival. Accompanying her into the Mexico sunrise for the final time will be YaYa, as well as Hector and Stacey Pullen playing back to back. Following a week of creating lifelong friendships with people from all around the world, the Blue Parrot will provide the perfect backdrop for not goodbyes, but see you soons!